This is a beginners tutorial that covers the basics of composing and sending an email using the Yahoo Mail web browser client. How to address an email, including sending to multiple addresses. How to send email with an attachment and attachment limits. 1. Login to Yahoo mail. You should see a compose button underneath the main menu bar. Click the compose button, and a new message form screen appears. 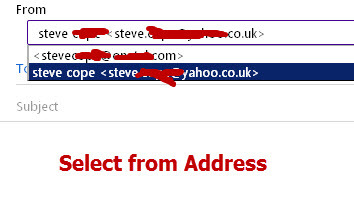 have multiple email addresses/accounts associated with a Yahoo account. 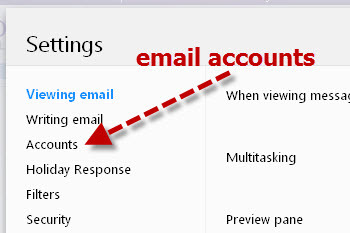 The default email address appears (this can be set as part of mail settings). You can type email addresses into the to, cc or bcc lines manually with addresses separated by a comma, or use the contact list by clicking the blue to,cc or bcc links on the left. There is maximum limit of around 100 recipients per email message and applies even if you use a Contact List. You should notice that as you type Yahoo will suggest email addresses from your contacts and also from email addresses that you have previously sent email to. You should enter a message subject in the subject field. If don’t you will get a warning when you try to send the email. Even though you can send an email without a message subject it isn’t good email etiquette and it may get blocked by spam filters. The total message size including attachments is limited to 25MB, but you should note that although Yahoo allows this size of message, it may be blocked by other carriers. You can also add basic HTML styles (bullets, links etc.using the menu at the bottom. On the far right of the menu are two arrows pointing to the left. If you click on this the email reverts to plain text and the HTML formatting menu disappears. You can change the text size of the sent message by clicking on the text icon. Click send when ready, and the email will be sent. If there is some form of error in the message e.g. no recipient then you will get an error message, and the option to edit the message. 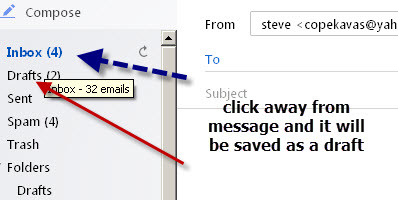 If you don’t want to send the email straight away click way from the message, by clicking the inbox icon (for example), and the message will automatically be stored as a draft message or use the keyboard short cut CTRL+S. You can locate the email in the drafts folder at a later date, edit it and then send it. Cc stands for carbon copy : Anyone listed here will get a copy of the message and anyone who receives the message will know who else the message was sent to. Bcc Blind carbon copy: Anyone listed here will get a copy of the message but anyone who receives the message will not know that the person(s) on the Bcc line were sent the message. Lists: A list is a group of email addresses.They are useful when you frequently need to send email to many people at once. When you send an email to a mailing list the system will automatically send the email to each member of the list . If you want to keep your list membership private then send to the list using the Bcc field. When a recipient receives your email the name that they see in the from field of the received message is the name you configured as the sender name. 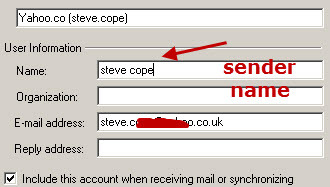 If no sender name is configured they will see your email address as the sender. You can change this name in Settings>accounts>Primary Yahoo and edit the Your Name field. Note 1: This only works for the Primary email Address. You cannot add a sender name to an extra add-on address or alias. 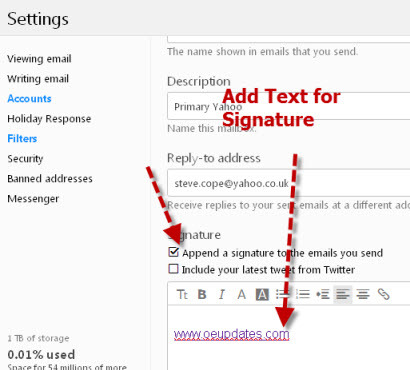 Note 2: It is applicable for email sent via the browser client and should also work for the Yahoo mobile App (see below). The sender name setting is client dependent so it is important that you make sure it is the same on each client, that you will be using with your Yahoo mail account. In the browser client it is set as detailed above. If you use the Yahoo mobile App then it should use the same name as the Browser sender name, but it doesn’t appear to detect name changes. Send HTML or Plain Text Email? By default Yahoo mail will send HTML emails. Using HTML email means that you can add links in your email, use different colours and other effects. 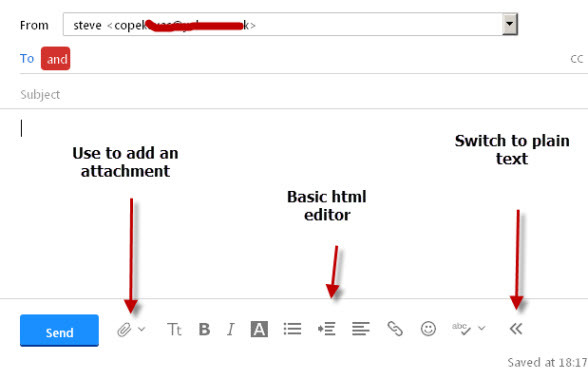 To change between HTML and Plain Text email an individual message click on the left pointing double arrows at the bottom of the compose window. You should notice that the formatting tool bar disappears. You can switch back by clicking on the right pointing double arrows. Note: There doesn’t appear to be a way of setting plain text as the default mode. 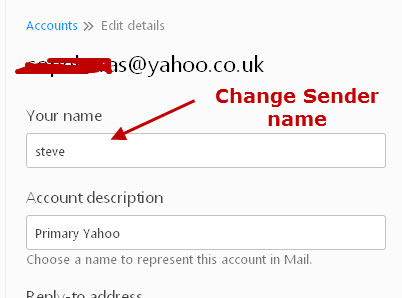 You can add a send only email address to Yahoo that lets you send email from an alternative email address. The alternative email address must be one that you have access to as the setup requires that you verify the address. When you compose a new email you will need to select the Address using the from field. 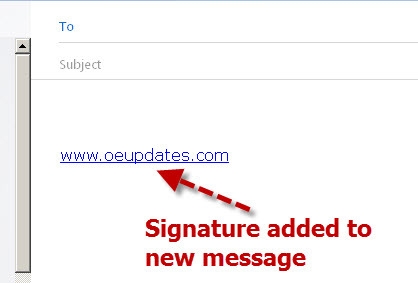 Signatures can be simple text signatures or HTML signatures containing graphics and even sound, depending on the email client. 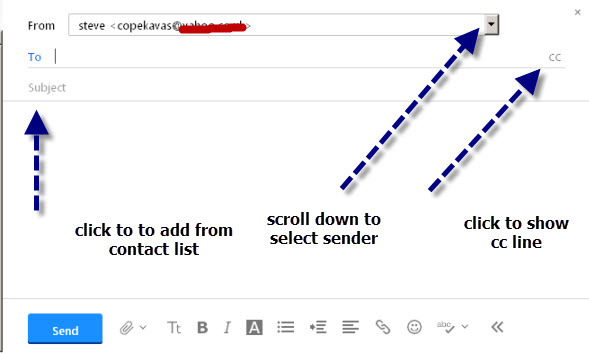 To send email to multiple contacts/recipients you can add them manually one by one or you can use a contact list. Using a Contact list is much quicker and easier if you send email regularly to a group of contacts. You select the contact list just like a normal contact. When sending to a contact list the list is expanded to the individual addresses before sending. Yahoo are currently working on a browser extension that will let you send encrypted email. However if you want to send encrypted email in the mean time you will need to use an external encryption services. There are two free web based services that I find very easy to use and are worth giving a try they are Infoencrypt and Sbwave Enkryptor . The email encryption article has more details on the pros and cons of encryption. Q.How do I change Sender name? and Why is the Sender name different? Q – I appear to have have two sent items folders. Why is that? 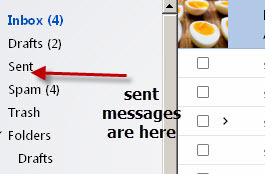 A – If you access your account using an IMAP4 client then it will create new folders including a new sent items folder. Q– Email I send from my desktop client doesn’t appear in the sent folder? A- – This relates to 2 above. Look for a sent items folder under folders. Q- Is Yahoo Email Secure? A- Yahoo uses an encrypted connection for your browser which protects you when logging in to yahoo, and reading and composing emails. However when you send an email that email is not encrypted. See understanding email encryption. Q- I’ve sent an email to someone by mistake can I get it back? A- No- once you have sent it you cannot recall it. Q –Can You add an image to the signature. Q –Can You add a link to the signature. Q- I want to send to multiple recipients without them knowing. How do I do it? A- Add the recipients to the bcc field. Read and Reply to Email- Yahoo Mail – -Understand the difference between reply and reply all and how to forward email to another recipient. Managing Yahoo Mail Contacts – How to add contacts to yahoo mail via several methods and how to delete them and restore ones you deleted by mistake. Organising Email in Your Yahoo Inbox– How to use simple organisation features like views, starred,conversations,folder etc. to manage you email in your Yahoo inbox.